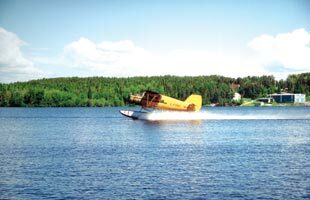 Knowledgeable staff and experience in air service and fly-in fishing that dates back to the 1950’s to ensure you of a memorable and enjoyable trip. 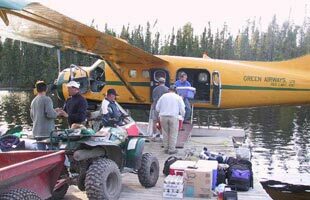 Airplane transportation to and from your outpost camp. A weight allowance of 150 lbs. of gear per person (excess weight charges of $1.00 per lb. beyond the base allowance). Excellent modern log cabin accommodations in pristine wilderness settings fully equipped with hot and cold running water, sink, shower & toilet (Outhouse at Shabu and Haggart), firm twin bed with mattress & pillow, fridge, stove, propane lights, BBQ, propane deep fryers, free ice or propane freezers (varies from camp to camp) and cooking utensils. Satellite phone for emergency use to reach our base camp in Red Lake. Please check in upon your arrival for exact departure times. 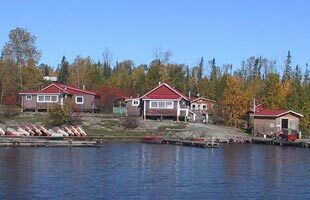 Cabins must be left clean and all garbage brought out with you. 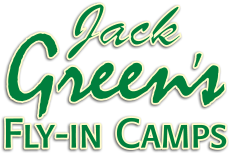 Jack Green’s can provide a grocery service for food or refreshments with advance notice. A deposit of $300.00 per person is required (deposits are transferable, but not refundable). Parties wishing to depart or return on different days may require a separate charter at an additional cost. Children’s discount of $150.00 U.S. per child, 16 and under. Inquire about family plans for July or August. HST of 13% is not included in pricing. None of our camps are road accessible to assure you of a true wilderness experience. Sheets, blankets or sleeping bag and pillow cases. Fishing gear, license, minnows and tackle. All toiletries and garbage bags. Coolers for transport of fish you wish to take home. Food, snacks and beverages (plastic bottles or cans keep the weight down). Camera, camcorder and other portable electronic devices.